I’ve always loved to dance and keep fit and what better way than to combine the two and do pole fitness. Im addicted! At the moment I take the beginner classes where I love to watch the new students amaze themselves with what they can do. My classes are fun and energetic and a great way to meet new friends. We have heaps of laughs together, sometimes at me, and are there to encourage each other. 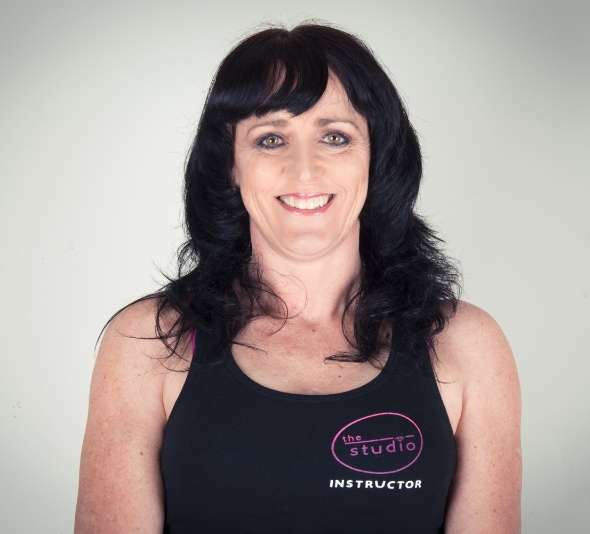 No matter if you are just starting out or have been doing pole fitness for a wee while and want to brush up on your skills, come and hang with me. I’m always more than happy to lend a hand and/or give you some tips.So come and give it a go. I know you will love it too. In my spare time, when I’m not doing pole, I love to shop … for shoes! There are two things in life you can never have enough of … pole fitness and shoes!